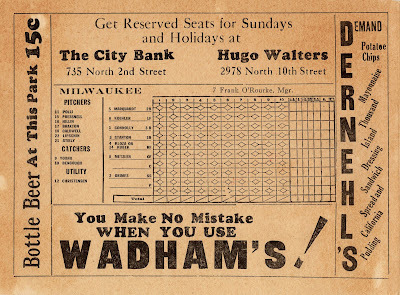 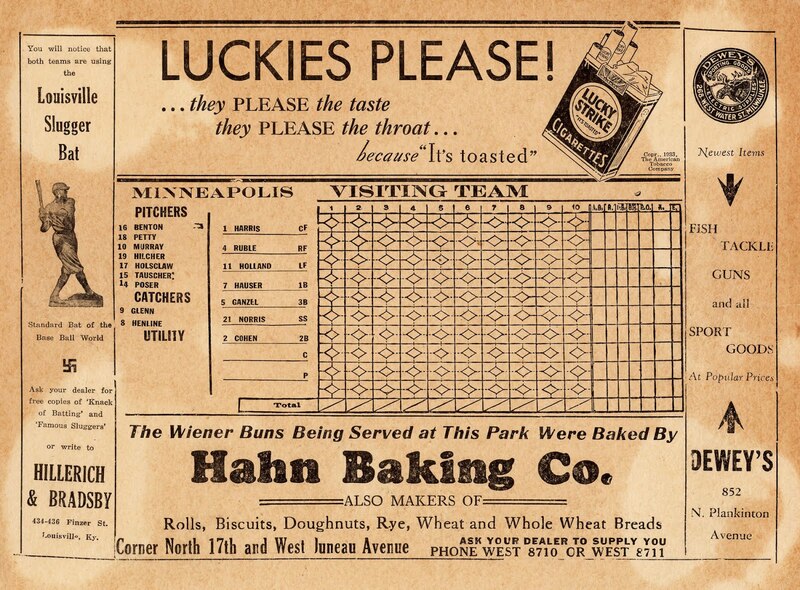 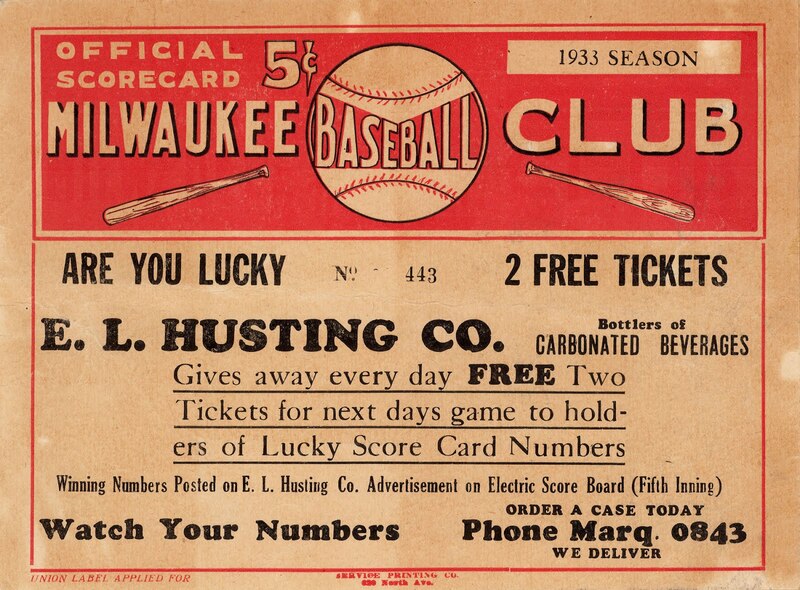 Today's artifact is a scorecard from 1933. 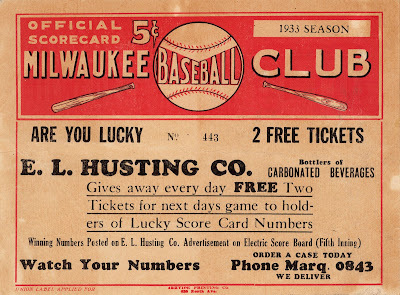 These "lucky number" contests continued at least into the late 1940s. The interior of the card features lineups for both clubs. 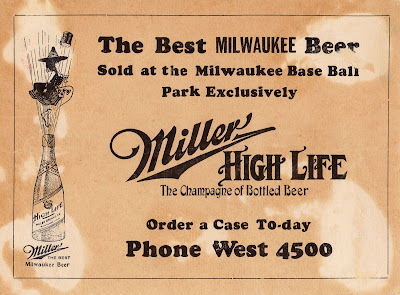 On the left, your Milwaukee Brewers. 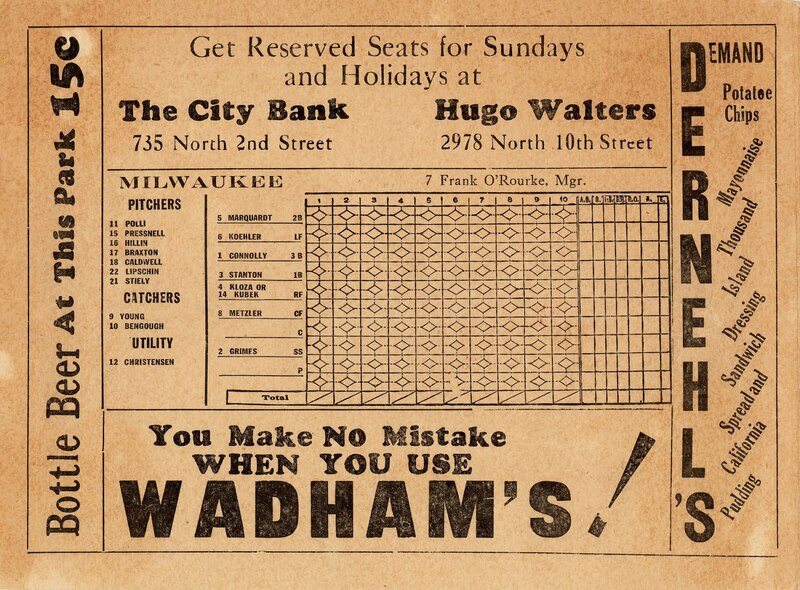 Frank O'Rourke, the Brewers skipper-slash-third baseman, doesn't appear in the regular lineup. On the back, a full-page ad for Milwaukee's most famous product.